Our SNAPTOGGLE<sup></sup> anchors get their name from their speed and ease of usethey work in a SNAP! Plastic straps that now work in base materials 3/8" to 3". Straps that snap off flush with the wall every time, assuring precise alignment. Nail drive anchors are used for through-fixture fastening into concrete, block or brick. 3/16 Inch. 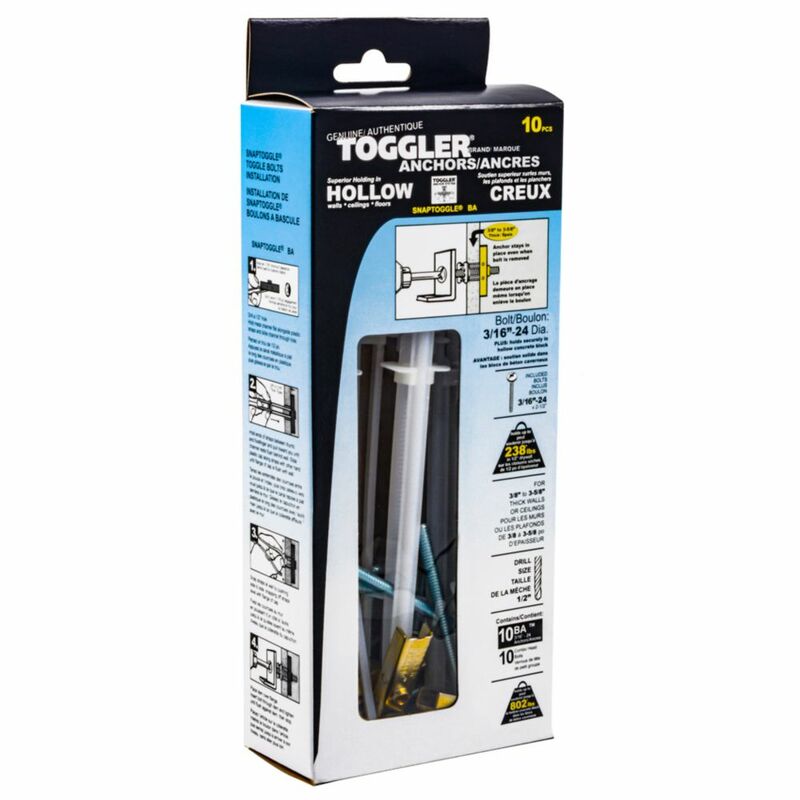 Toggler Anchor - 10pk Our SNAPTOGGLE<sup></sup> anchors get their name from their speed and ease of usethey work in a SNAP!